No wonder George Bernard Shaw summed up his trip to Dubrovnik by calling it the Pearl of the Adriatic and famously adding ˝If you seek paradise, you should visit Dubrovnik˝. This UNESCO World Heritage Site has also been an independent city-state for over a thousand years. In fact it was the first state to officially recognise the independence of the USA! 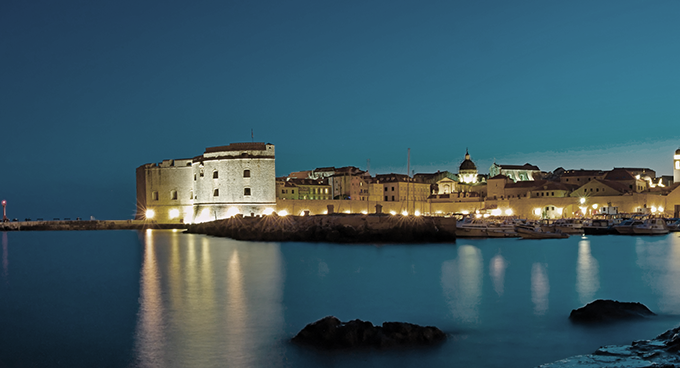 From its world renowned Old City guarded by astonishing fortress like walls to the elegant Stradun, this enchanting city is located in the heart of the Adriatic and easily accessible with its own international airport just 30 minutes away. It’s just perfect for any type of escape, not too big, but certainly known on the world map. 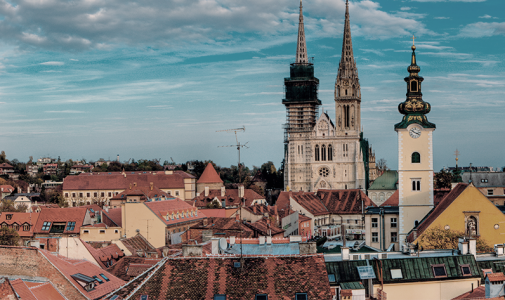 This Croatian tourism jewel offers all MICE related functions throughout the year in one of its several jaw dropping waterfront five star properties. 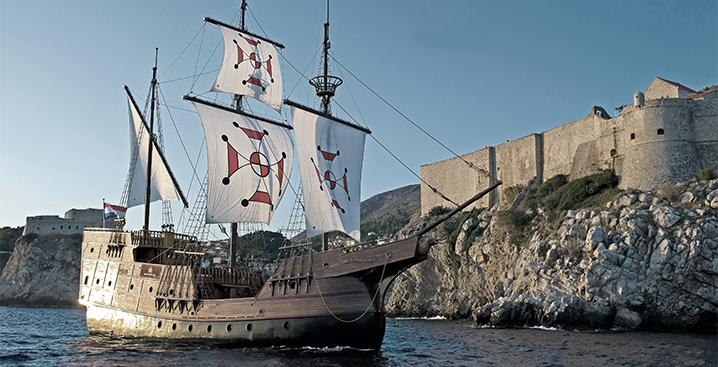 Dubrovnik has also become a centre of themed events with massive sailing ships Karakas often seen sailing in front of the city as well as exotic movies sets for blockbusters like Star Wars and Game of Thrones. Let’s face it, King’s Landing in Game of Thrones simply wouldn’t be fit for a king if it was shot elsewhere! 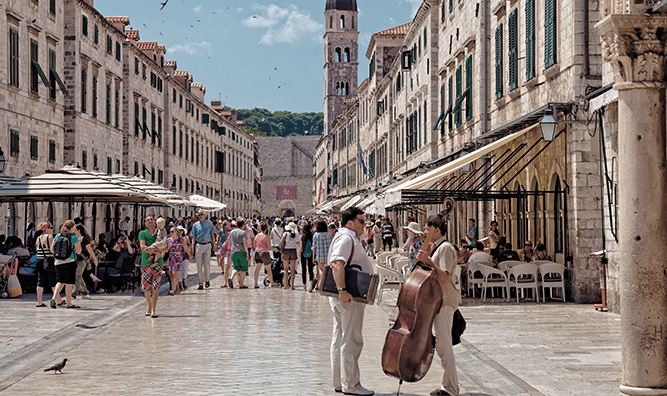 Treasure Hunt Game of Thrones – Imagine hunting for treasure as a group activity in Kings Landing. Speedboat island hopping – Perfect way to explore sandy beaches, island restaurants and small fishing villages in style. Oysters, wine and Ston’s Great Wall – Taste wine, eat delicious fresh oysters and visit Europe’s Great Wall. Vintage Car Tour of Dubrovnik area – Drive around and discover what Dubrovnik’s surrounding area has to offer. Sea kayaking – Great way to soak up extraordinary views of Old City Wallsfrom the sea. The Rector’s Palace – An outstanding monument of Gothic and Baroque architecture. Sponza Palace – One of the most monumental buildings in the Old City. Revelin & Lovrijenac fortresses – Impressive structures that have defended Dubrovnik for ages and now used for various events! Karaka ship – Get on board this 16th century replica and have a great time. Arboretum Trsteno – A beautiful waterfront garden and villa of the Academy of Arts and Sciences. 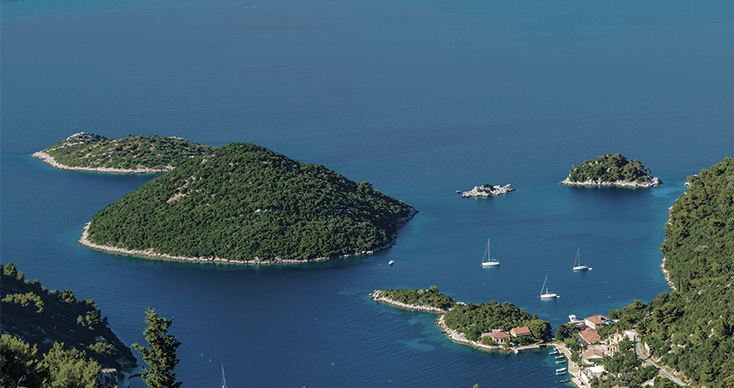 Lokrum – An island in front of the Old city, perfect for a day trip. 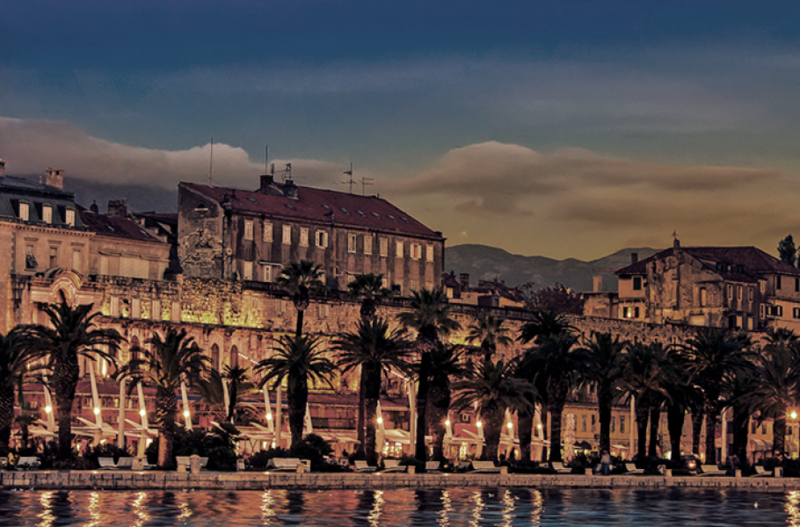 Montenegro – Great opportunity to include picturesque coastaltowns of Kotor Bay area and another country to your itinerary.Bosnia & Hercegovina – Visit the architectural stone wonder of Mostar and its famous Ottoman era stone bridge. 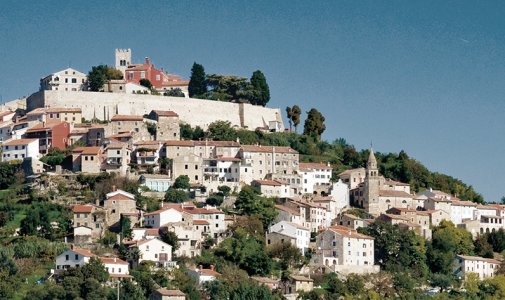 Pelješac peninsula – Include a day trip to visit the place with best oysters and delicious red wine Plavac. 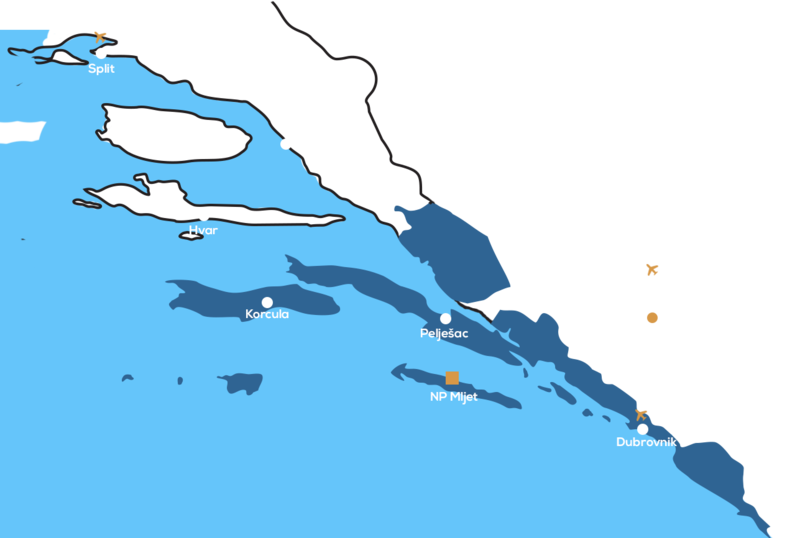 Mali Elaphiti islands – A small archipelago of 13 islands across Dubrovnik with sandy beaches, small fishing villages, great restaurants and renaissance castles ideal for a group excursion.